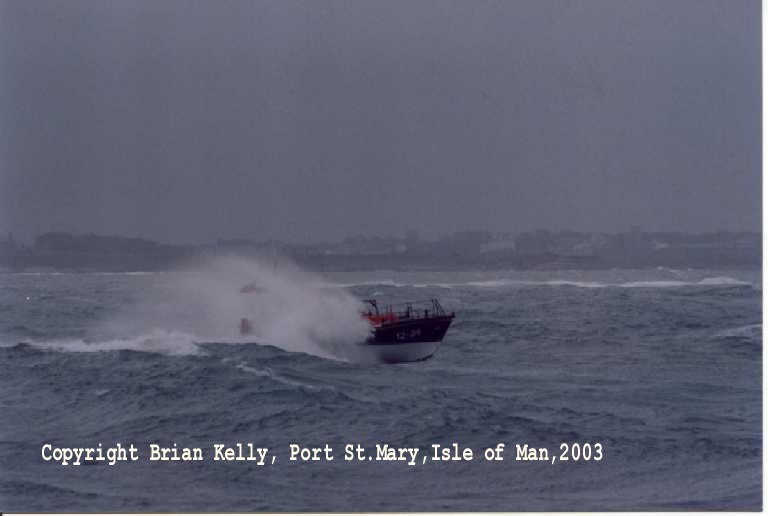 Photos taken of Rhyl Lifeboat on passage to Girvan, scotland, for repairs to the mast. 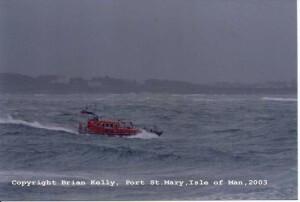 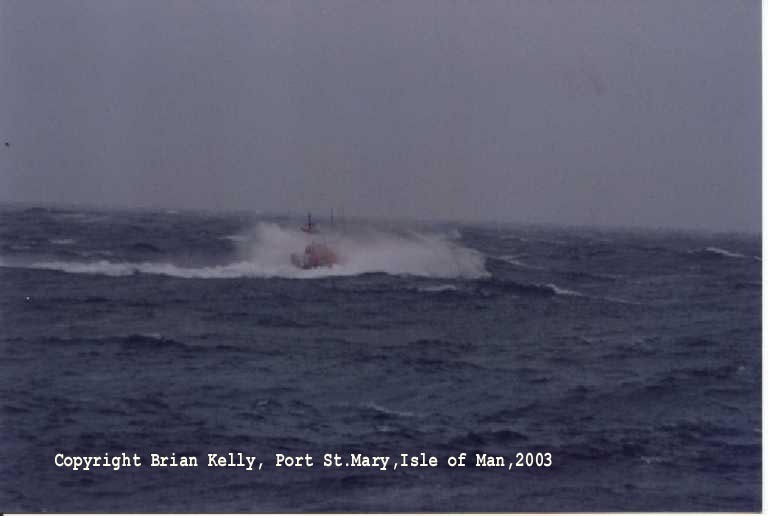 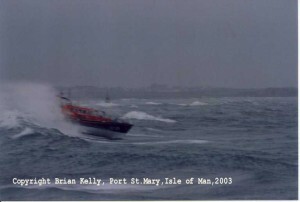 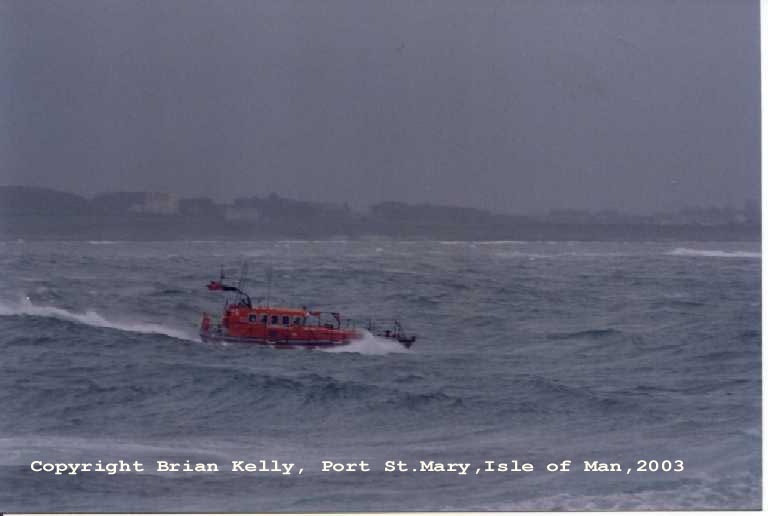 Leaving Port St. Mary, Isle of Man, on 4th May, 2003, in South-Westerly gale force 8. 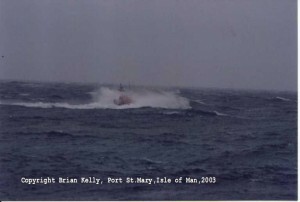 We managed to get air between the sea and the bottom of the hull! Many thanks to Brian Kelly, Port St. Mary Lifeboat station manager, for allowing these photos to be used.